This event has already happened. Check out our other great events! Thu, April 4, 2019 4:00 P.M. 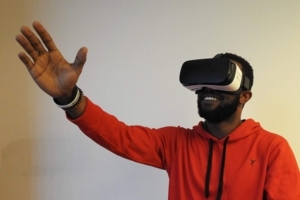 Experience Virtual Reality at the Free Library using the Oculus Rift! Try out cutting edge movies, video games, and interactive experiences in ways you never have before. For Teens and Adults 13+!